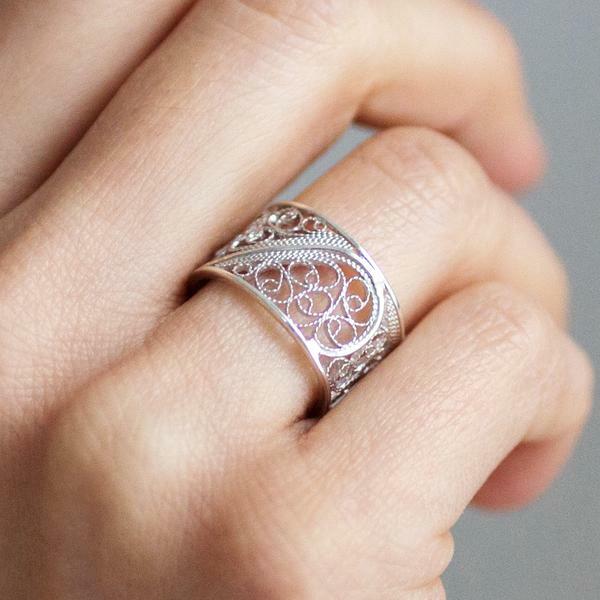 place your order before 14th February and you will receive a free Silver Single Filigree Links Ring of your choice. Then the thought of finding a beautiful Valentines gift might be an added pressure. With this in mind, Arabel Lebrusan is offering a complimentary gift to customers who purchase an engagement ring before the 14th February. Whether you find your perfect engagement ring online or call up to discuss a bespoke design, place your order before 14th February and you will receive a free Silver Single Filigree Links Ring of your choice. 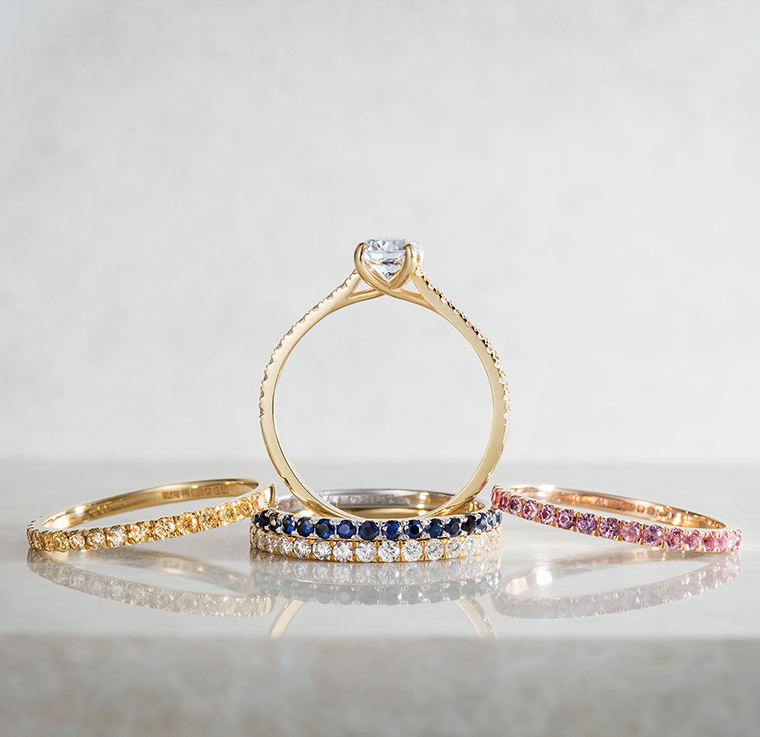 Choose from gold, silver, rose gold or black filigree - whichever will suit your loved one best. Normally worth up to £145.00, the sizes are adjustable and ready to wear, making the delicate filigree designs a perfect Valentines day gift. Arabel’s Spanish roots are present in her filigree designs in particular and where generations of family craftsmen have honed their crafts and passed on their skills in artisanal workshops in the tiny towns dotted along the Via de La Plata. Each delicate piece is unique and helps sustain the ongoing craftsmanship of these centuries of Spanish fathers and sons. The history of this delicately refined craft is extensive and fascinating. 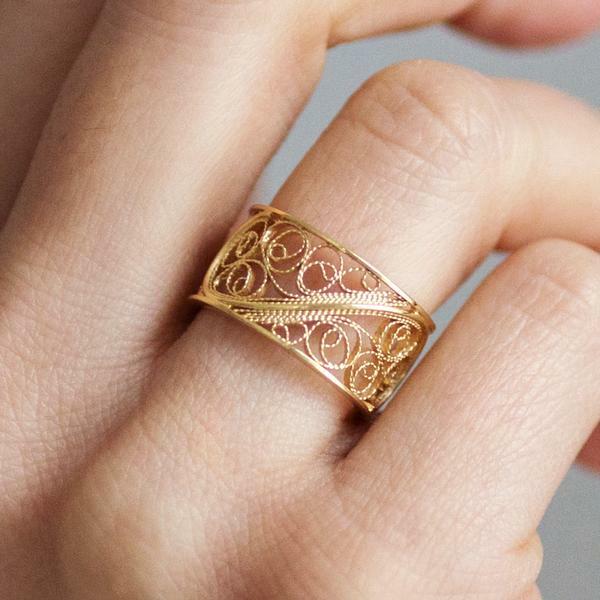 From the ancient Greeks to medieval Anglo-Saxons, all the way up to today in Arabel's native Spain, where artisans still produce the complex, detailed patterns dating back to the 17th and 18th centuries, filigree has touched almost every culture in some way. 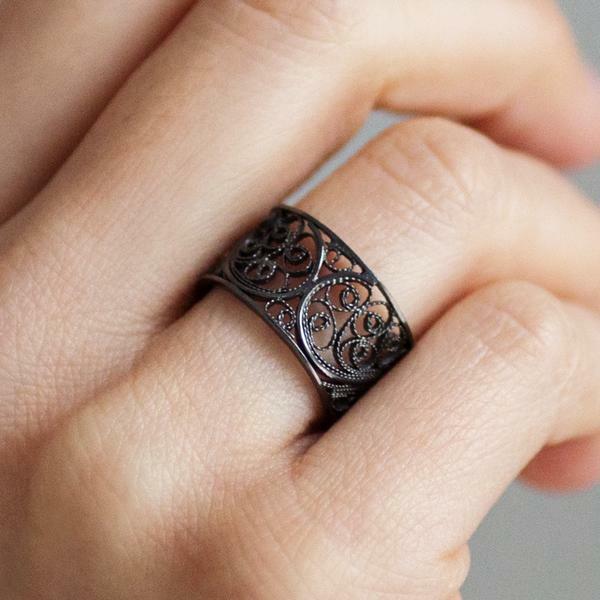 Filigree is not only artisinally crafted, but a sure statement piece that would fit perfectly into any wardrobe today. Arabel's contemporary design has an elegant, eye-catching twist fit for Royalty. With her filigree designs worn by Queen Letizia of Spain, you know your bride-to-be will be dazzled by a gift of this calibre. Just let Arabel know which design and size you think your partner will love best in the order notes of your engagement ring or over the phone, and the Links Ring will be sent, beautifully packaged, separately to your desired address. When it comes to finding the ultimate gift for someone special, you can’t go wrong with the beauty and elegance of Arabel Lebrusan. 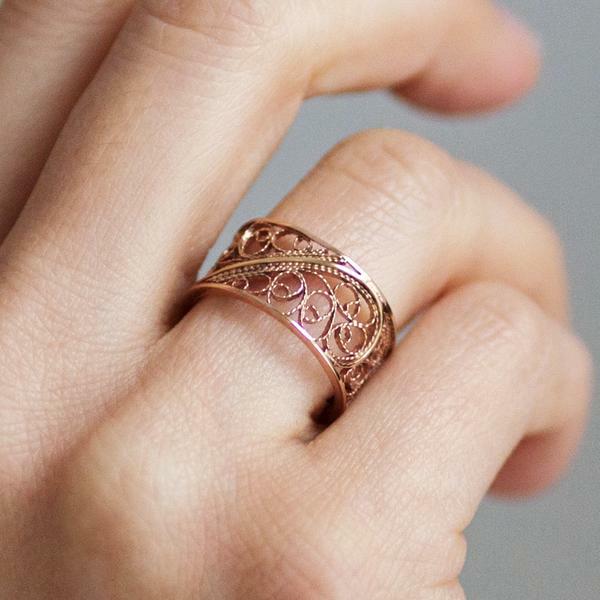 Shop Arabel's collection of ethical engagement rings, and be sure to share the offer with family and friends - the Filigree Links Ring really is perfect for anyone. We are most responsive via twitter or email.